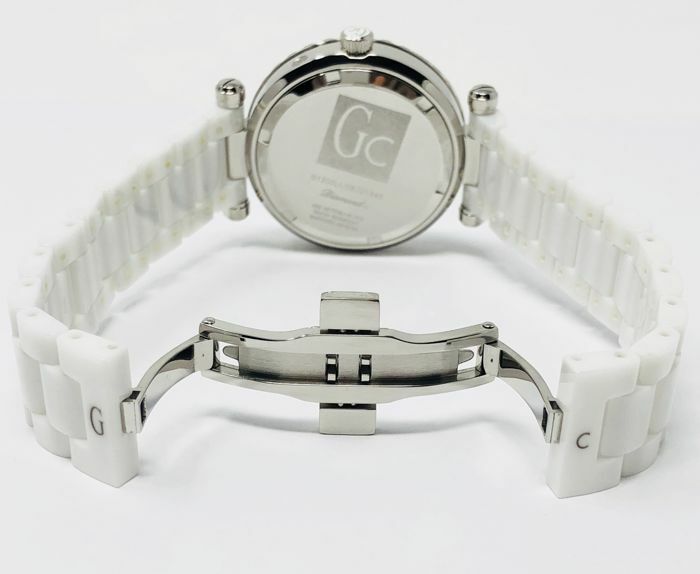 36 mm X 8 mm Stainless Steel Case. 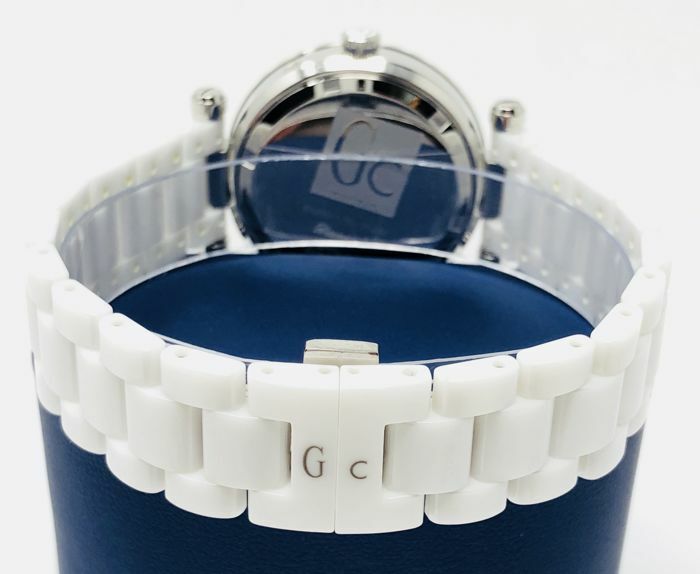 Measurements are including the crown. 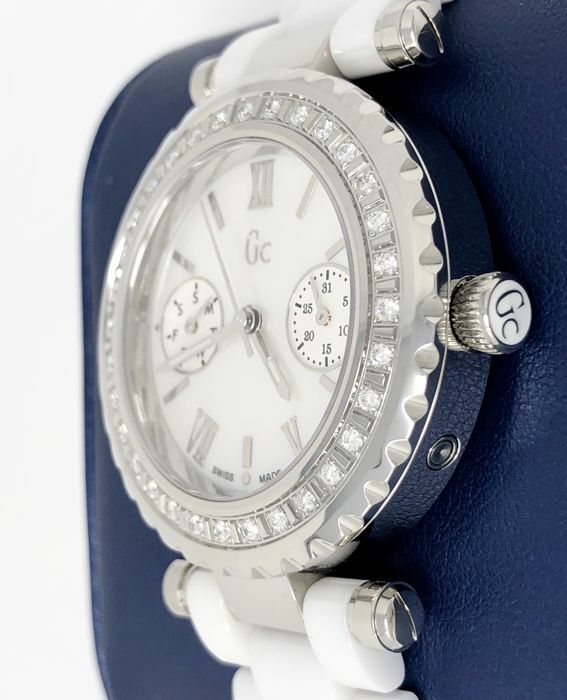 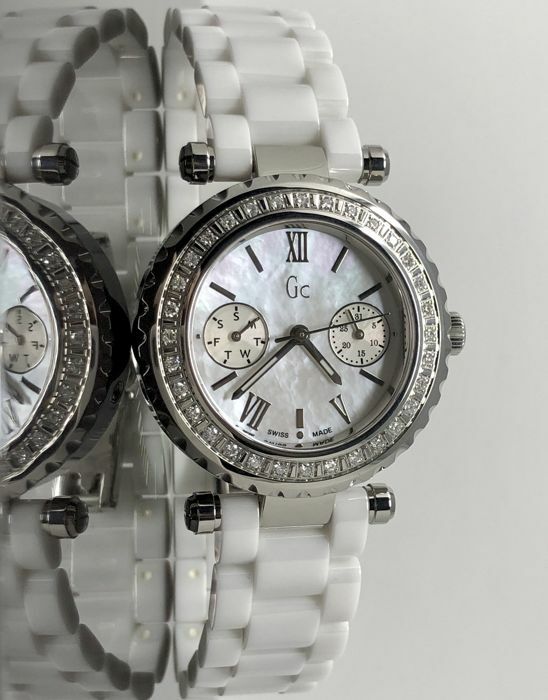 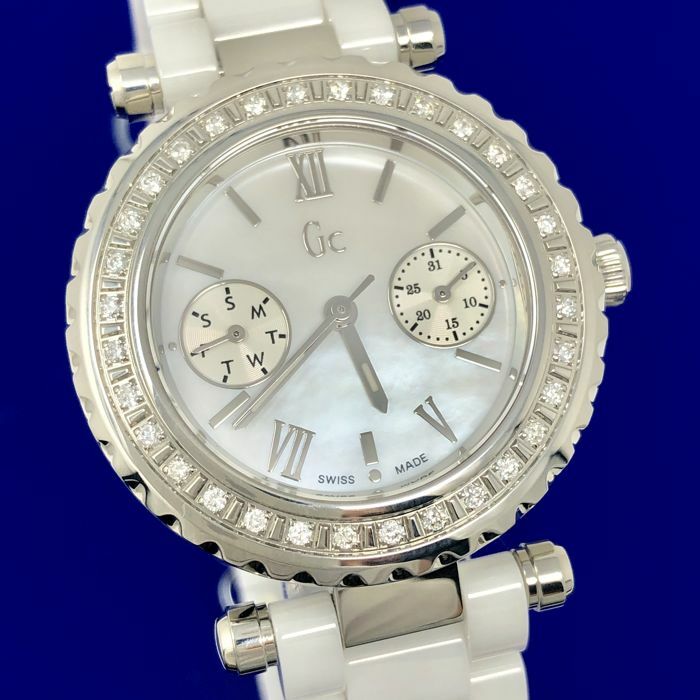 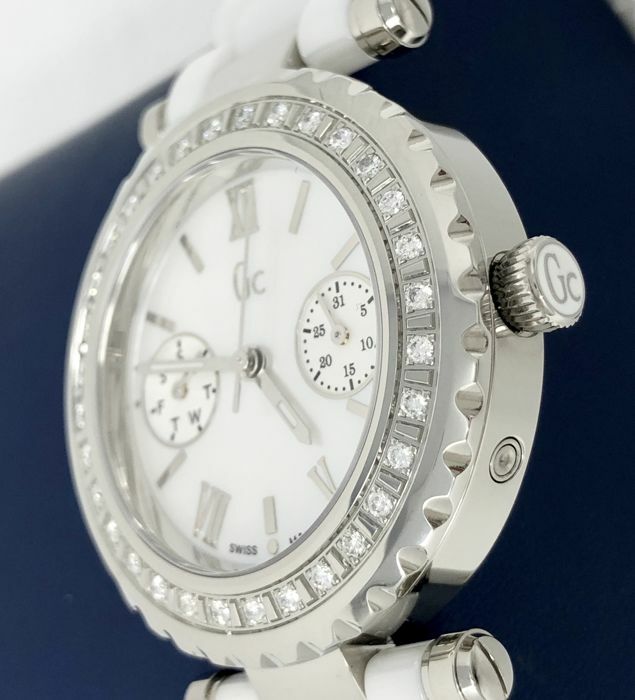 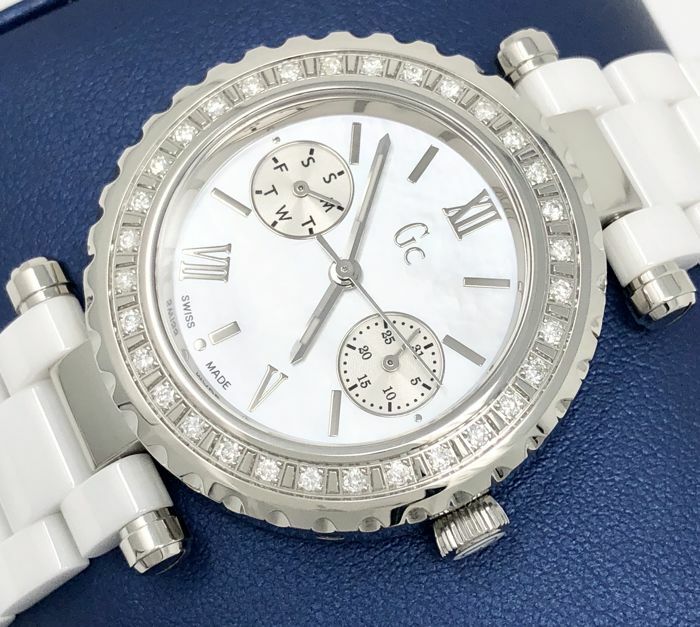 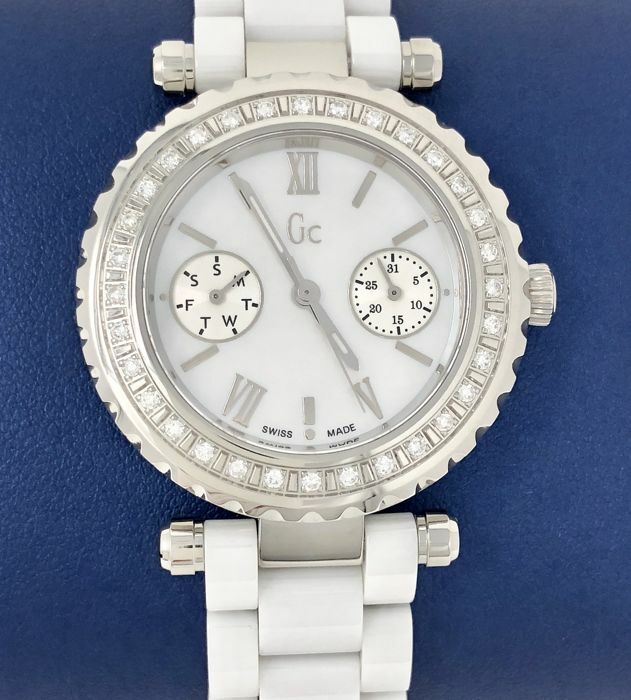 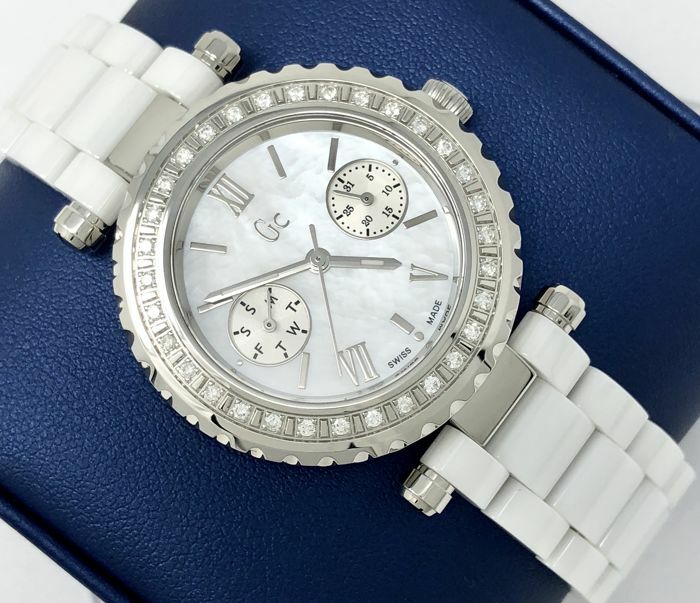 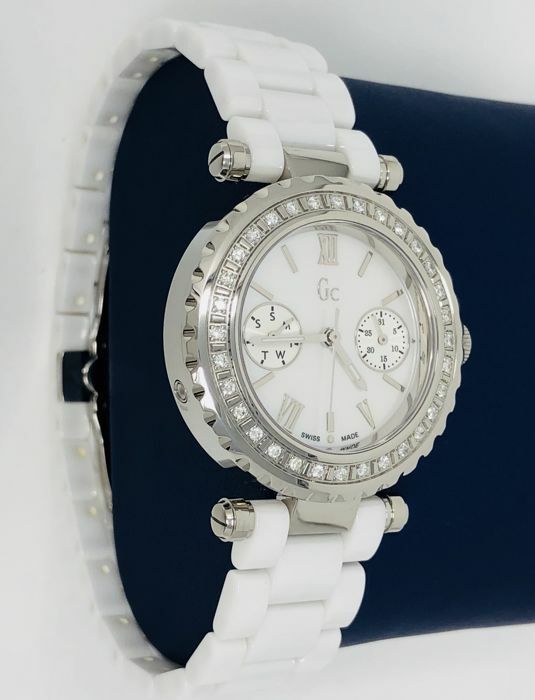 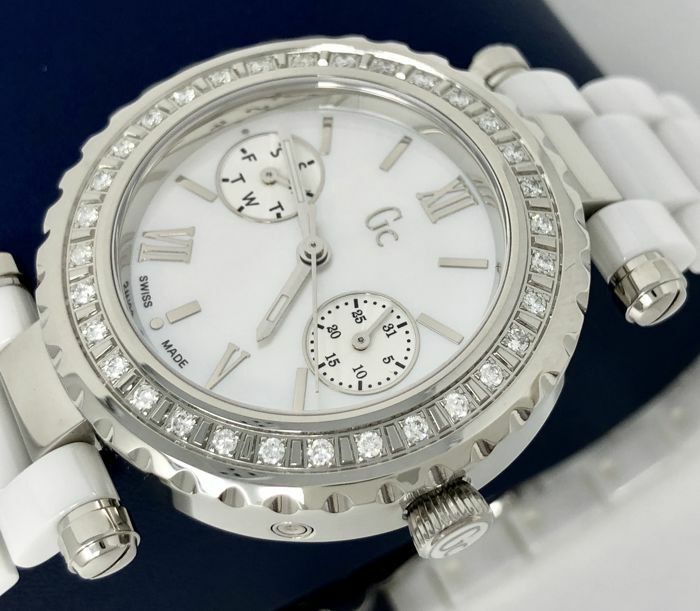 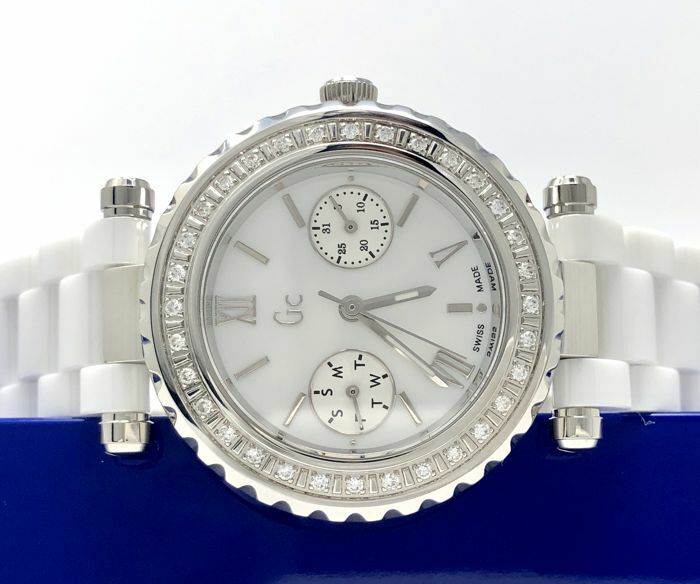 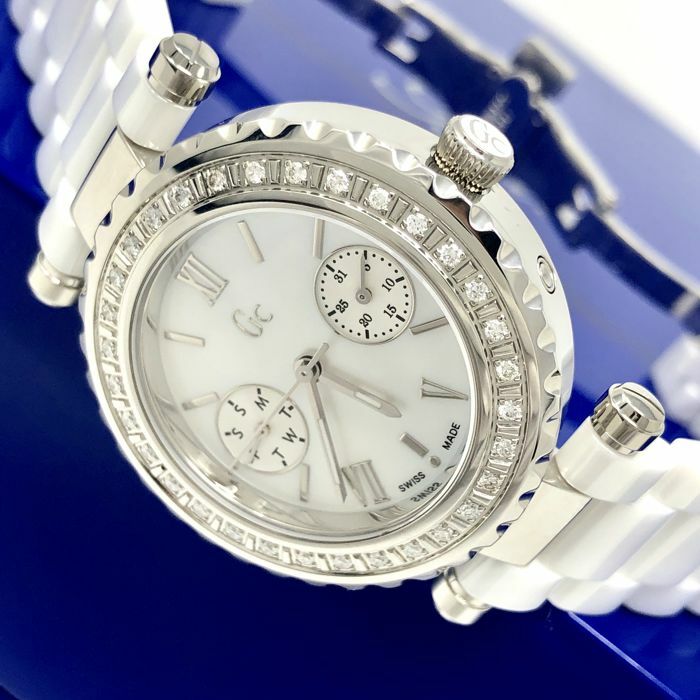 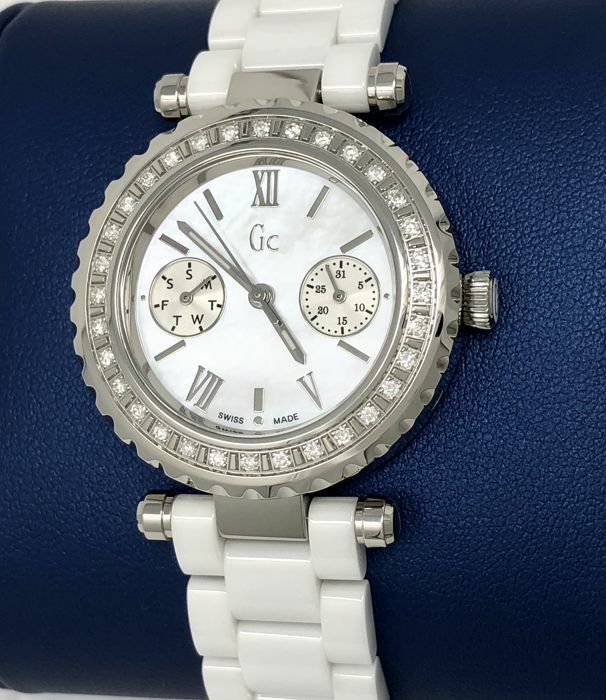 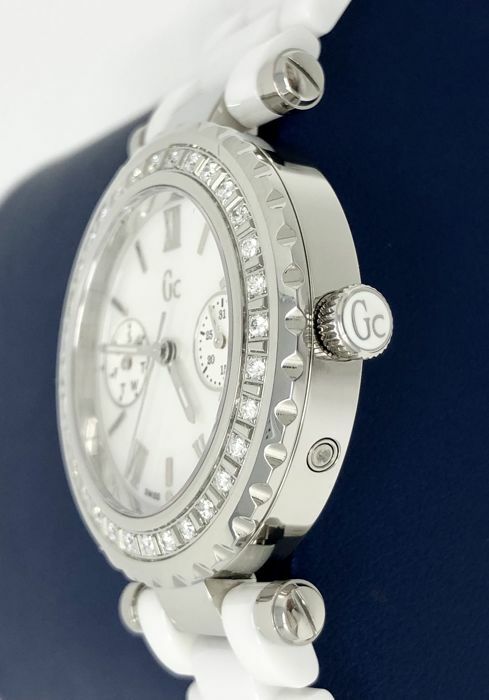 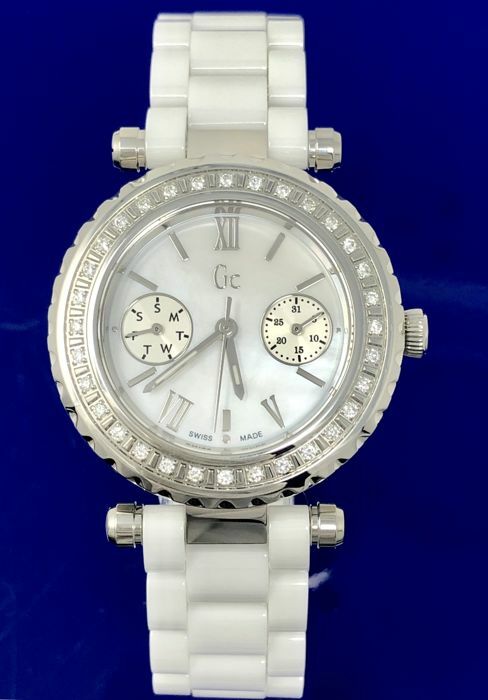 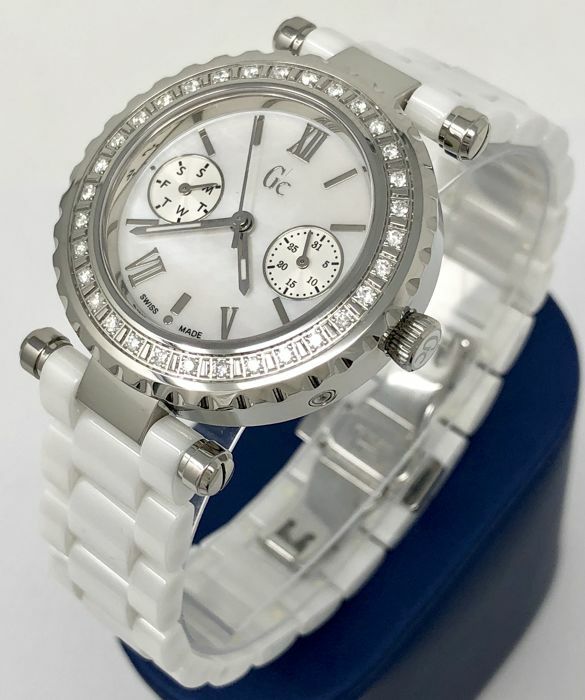 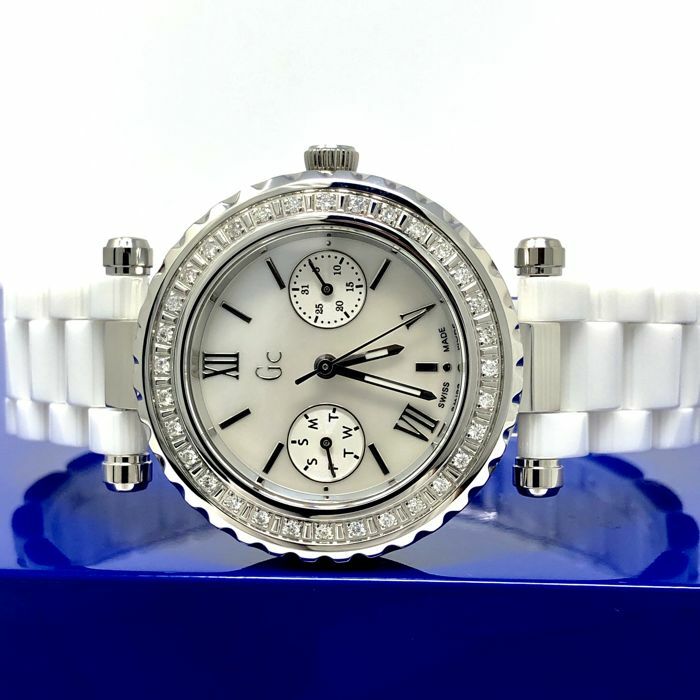 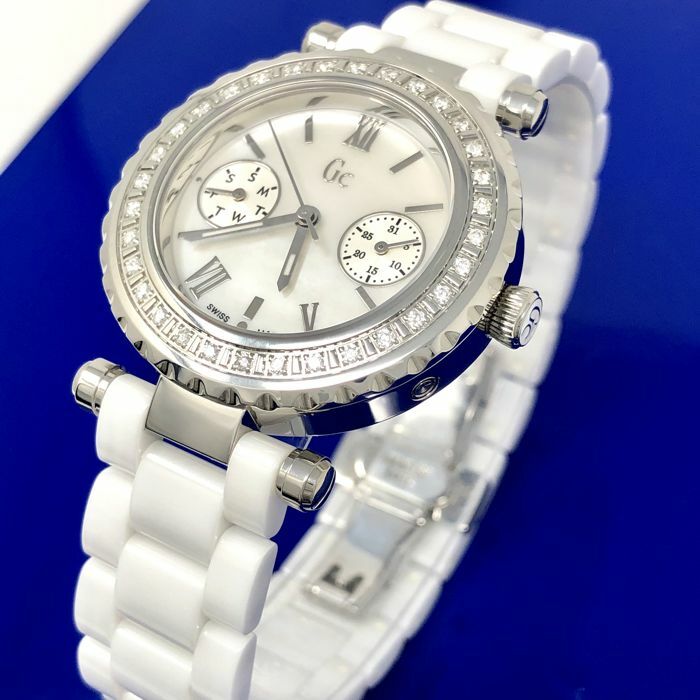 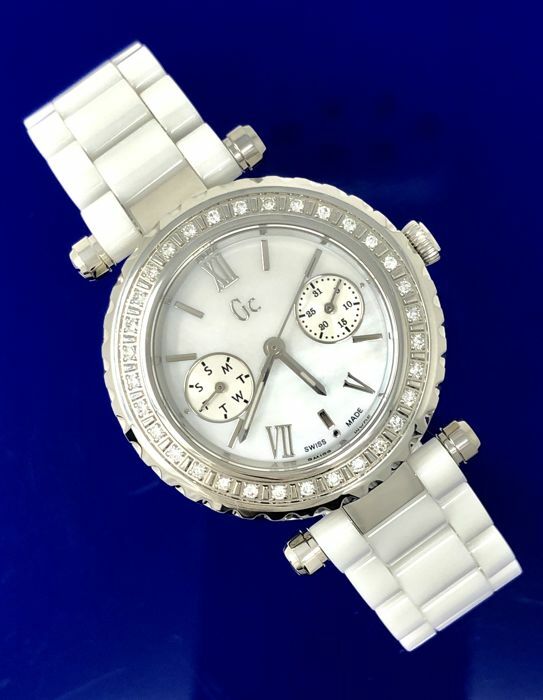 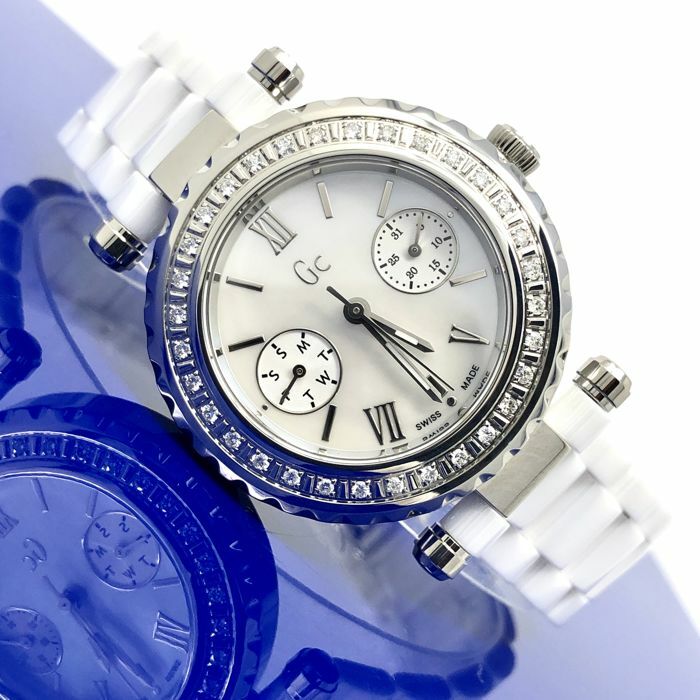 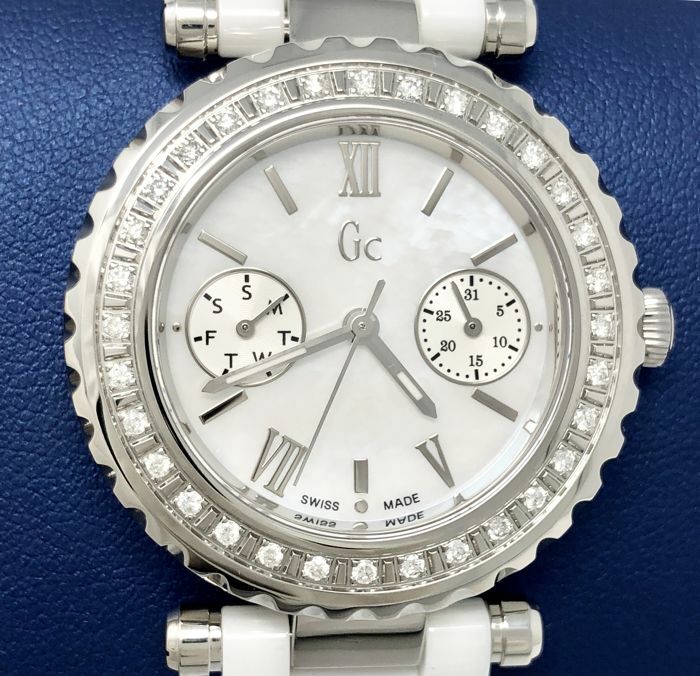 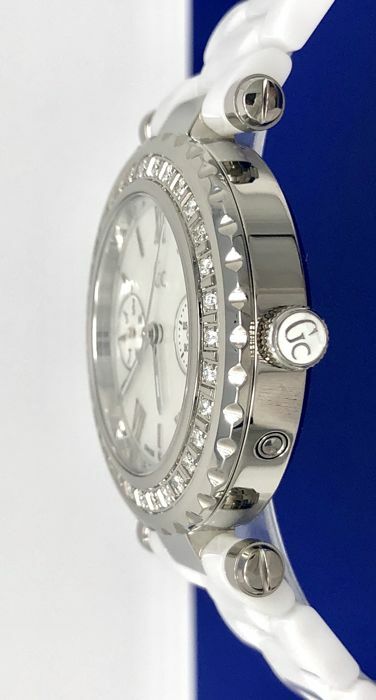 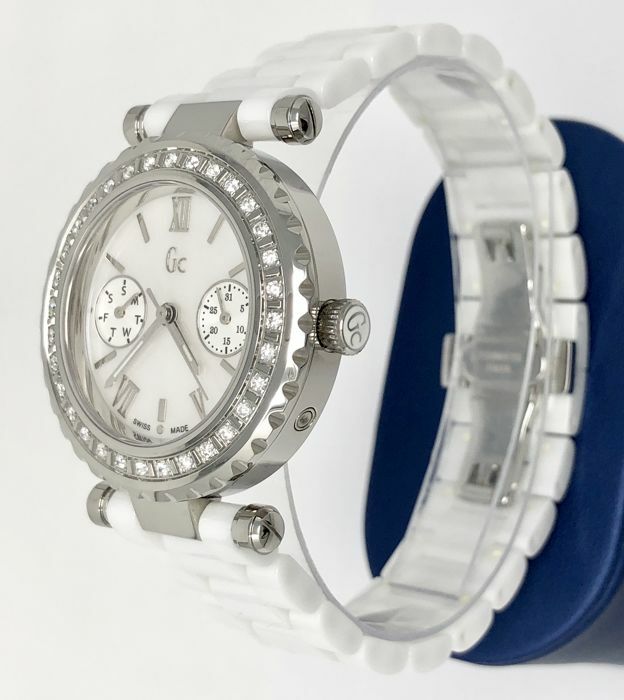 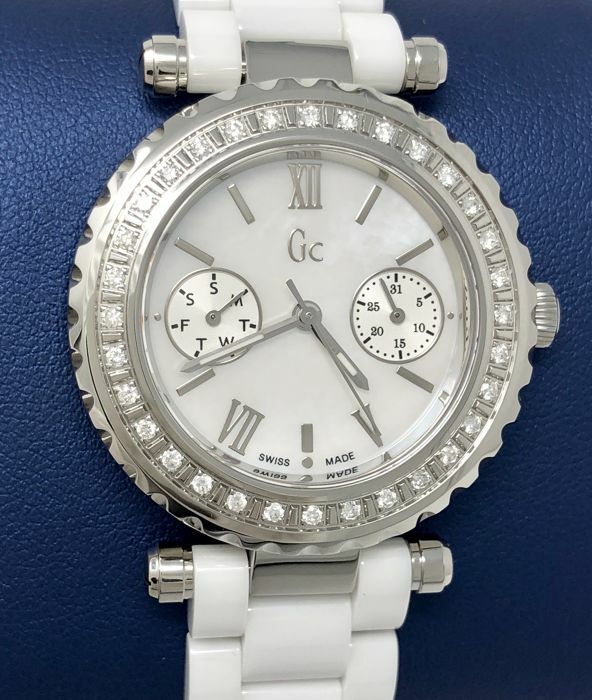 This Gc Diver Chic ladies watch has a white mother of pearl dial with day and date sub dials and a mix of silver coloured Roman numeral and baton markers. 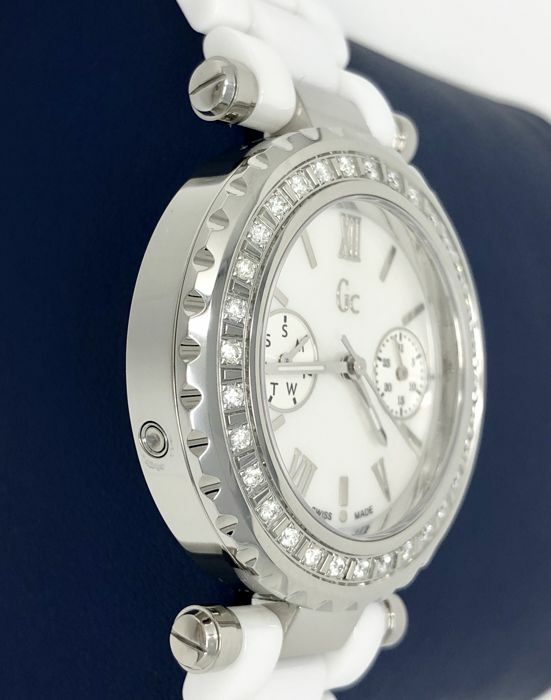 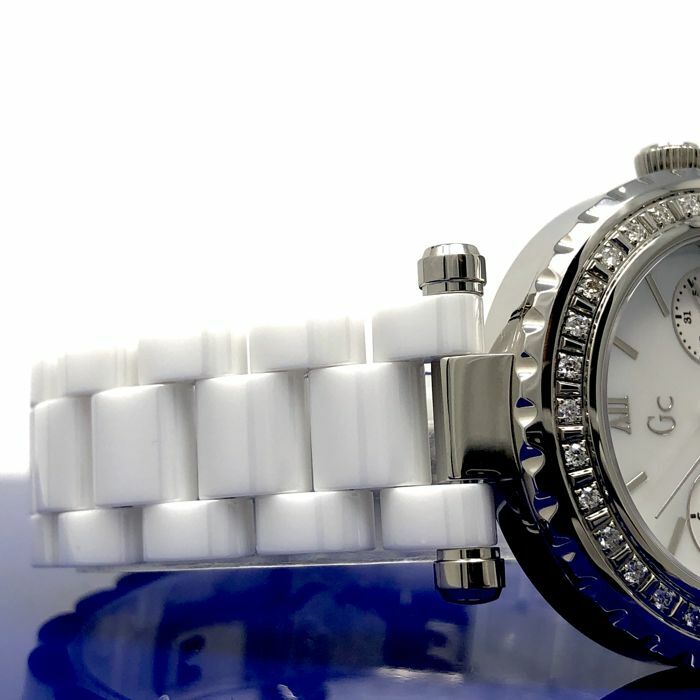 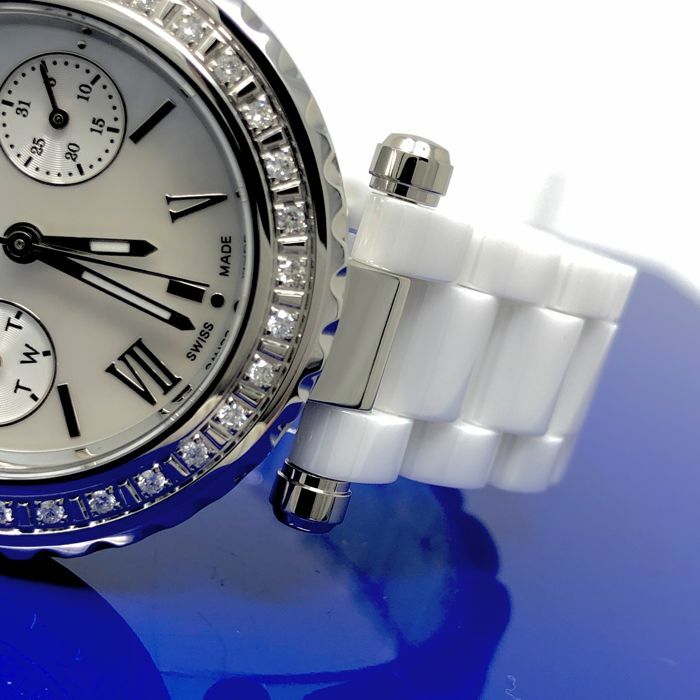 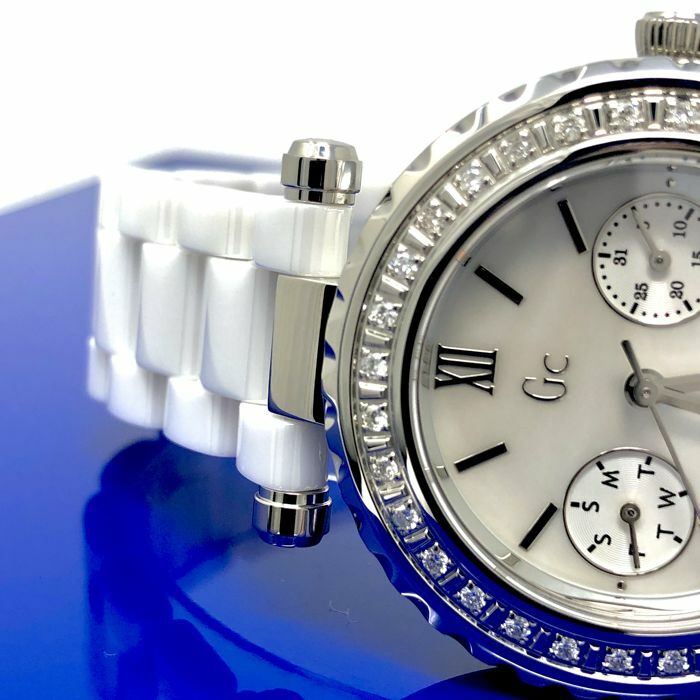 The polished stainless steel case features an exquisite diamond set bezel, made up of 32 diamonds. 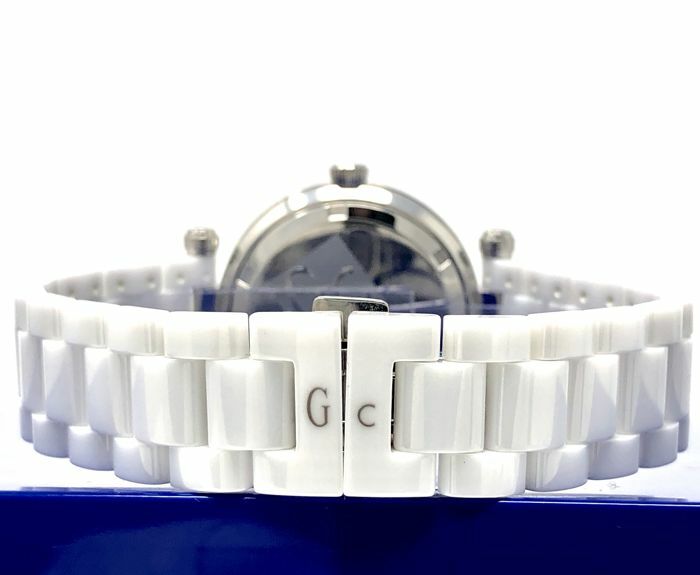 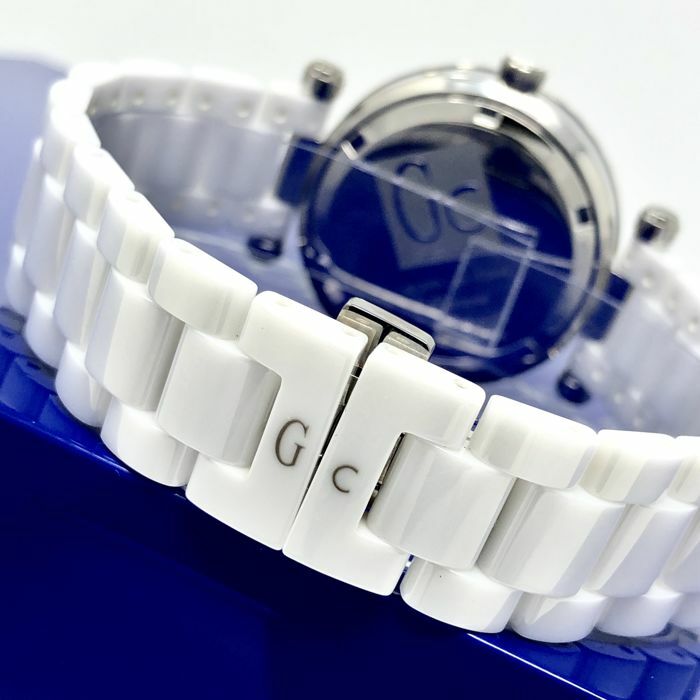 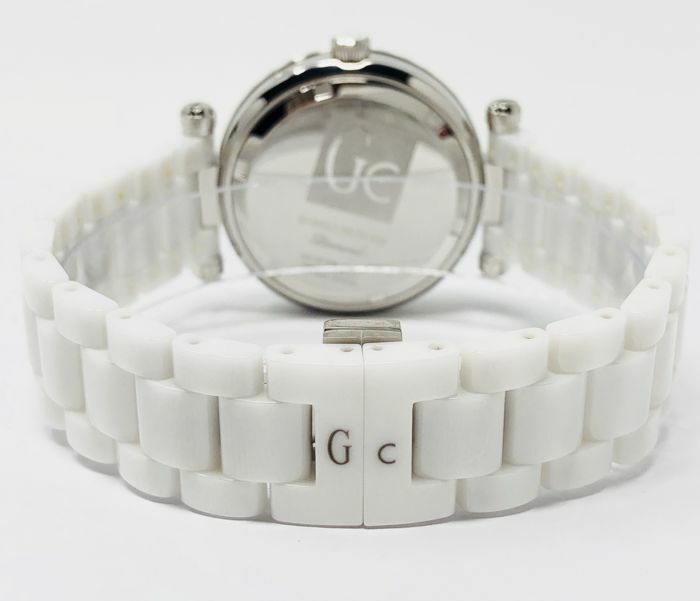 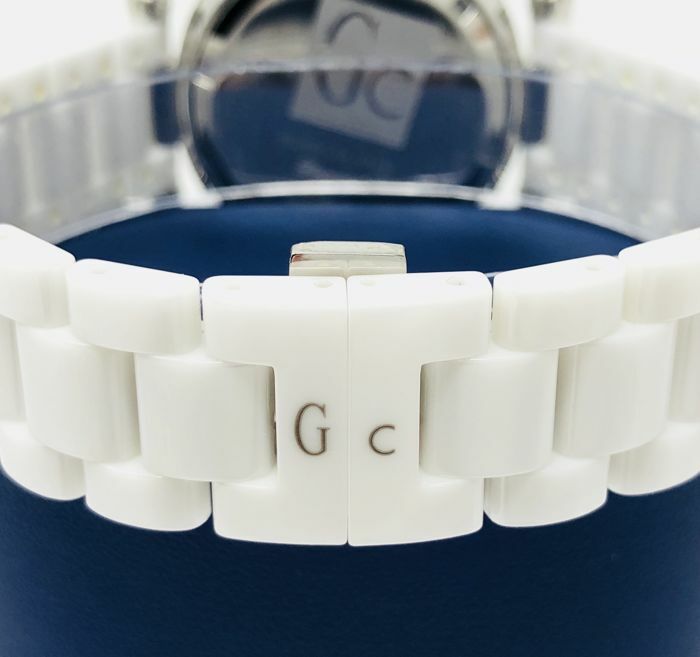 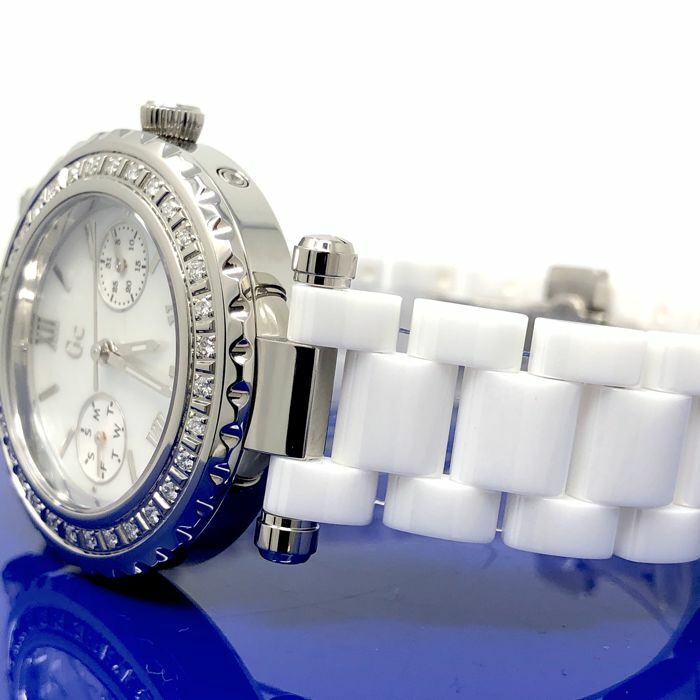 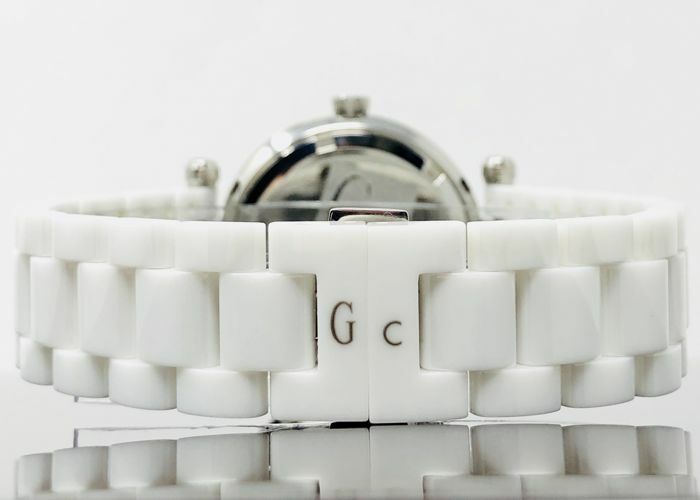 This incredible watch is completed by a white ceramic strap, fastened with a two side pusher deployment clasp.